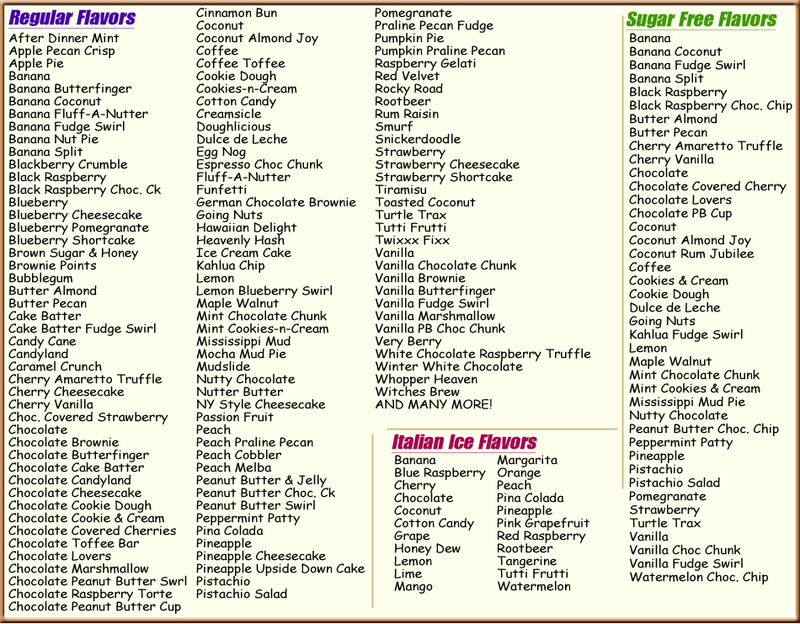 Here is a full list of Flavors that we make and carry! Quarts and Half Gallons are also available in our freezer! Have an idea for a "New Flavor"? Drop off your idea at our store or mail it to us! If we use it, we will name it after YOU! All Flavors on this list are subject to Availability.